TheVenomSite Cullen, I love how much time you take interacting/answering questions with fans (via Twitter, CBR forums, AMAs, etc). How much do fans influence your writing? In the case of VENOM, was Eddie Brock always planned to come back to the title or were you (and Remender) 'forced' by Marvel/fans to find a story for him? Also, you and Declan did a hell of a job on VENOM #31! Thanks! cullenbunn Thank you! I try to be as responsive as I can to readers! And I'm glad you liked Venom 31! As for Eddie Brock and Toxin, I planned on bringing him back ever since he appeared in the Savage Six arc. The story that begins with issue 31 was always part of my series outline. It was nothing Marvel demanded. I pay attention to what fans say they want, but I don't necessarily change what I have planned. In the case of Eddie, though, I had planned to bring him in a couple of arcs from now. Seeing that fans were really interested in what became of him, I decided to move his return up in the plan. scarlet-spider When will we see Flash meet up with Superior Spider-Man? Peter and Flash were good friends, I would very much like to see how that would play out. cullenbunn You'll definitely see how that plays out. I'm not sure what the exact plan for that is, but it is in discussion right now. cullenbunn Everyone wants Valkyrie to take the symbiote for a spin. I have to admit, the craziness of that idea appeals to me. With the interaction of Valkyrie and Venom, it's certainly not out of the question. 2) Do you have any plans for the newest full Symbiote Scorn in either Fearless Defenders or Venom? She was such a unique new character with a pretty cool powerset besides the usual Symbiote stuff. 3) Do you have any plans to use the now only remaining military Symbiote soldiers, Mercury Team? I'd love to see Venom lead the team on some sort of black-ops mission or something, though maybe Flash has evolved past his military days. Thanks in advance! Keep rocking and writing! cullenbunn Hey there! Thank you! 1 - Venom will be showing up in Fearless Defenders, but not in the first arc for sure. Maybe in the second arc. He'll be a semi-regular cast member if I have my way. 2 - Scorn will probably not be showing up in Fearless Defenders (but never say never) but I'm cooking up a story for Venom that she might fit into quite nicely. HomelessBoxBoy Hi Cullen, here's something that I've been wondering about for a while now: How do you feel about the original Venom? Did you like Eddie in the symbiote? Also, thanks for keeping the Venom ongoing, well... going! cullenbunn Hey there! I liked Eddie, but I didn't love him. That could have been a product of the time during which I was really reading his stories. I find that I like Eddie more now (because I'm writing him--ha!) than I ever did before. MarvelFan94 First off i want to say you are doing a great job with Venom and Fearless Defenders. What inspired you to move Venom to Philly? cullenbunn When I took over the book, I was told that editorial wanted Venom to move, and editor Tom Brennan made the suggestion that Philly might be a good locale. YJRP_BlueBeetleBlue How is writing a superhero who is in a city that does not really have much exposure in the Marvel universe? Was it your idea to set the story in Philly? cullenbunn Venom's move was planned before I took over the book. It was editor Tom Brennan's idea to move him to Philly. I would have probably preferred to move him to the Ozarks and play it like "Next of Kin." Kidding... but not by much. It's nice to have Flash in his own city, though. Feels like a fresh start. TolkiiDeadpool I was kind of sad that Rick Remender left Venom. I came into issue 23 on with low expectations and you blew my expectations out of the water. Keep up the good work! Also, Killustrated is **** hilarious, you are now one of the few people I trust with Deadpool lol. Also any plans for another Venom/Scarlet Spider team up? cullenbunn Thank you! Future team-up plans are a little sketchy right now, but I think there are some conversations that will be taking place in the near future. OrionSTARB0Y Hey Cullen. Again, awesome work with Fearless Defenders and Venom! 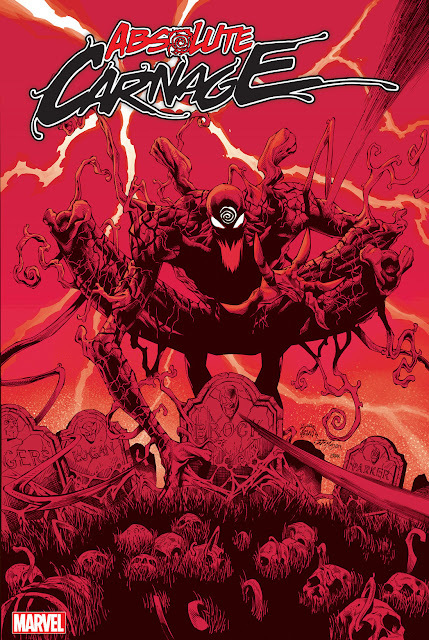 Have you ever read into the other symbiotes outside the Venom family, such as Dreadface from Fantastic Four, Payback from True Believers, Krobaa from Venom: Seeds of Darkness, and Zzxx (or however you spell his name)? And do you plan on introducing any non-Venom family symbiotes into the cast, and maybe another Xenophage? 1) This is obscure and kind of silly, but with Brock returning, is there a chance of us seeing Jenna Cole again, or finding out what happened to her? She was Brock's sidekick for a bit and I felt that while underused, she was the first thing other than himself he's cared about for a while, it humanized him quite nicely. 2) I'm curious, now that Flash is no longer a Secret Avenger and is in charge of self medicating the symbiote, will we see it start to assert itself more and eventually feature a bit more of a personality? I don't mean asking Flash to Tivo the Kardashians (God no! ), but will we see how it feels about having to share its beloved Flash with a demon? Thanks in advance! Also, got a kick out of the Mother Superior gag in 31. It's great seeing Flash loosen up a bit! cullenbunn 1) I'll have to look into the Jenna Cole story. Right now, there are no plans, but I do enjoy finding other threads that serve as story or character springboards! 2) There are changes in store for the symbiote... and for Flash's relationship with it. 3) i would love to see more from scorn she is very unique and has that IT FACTOR!!! would you be tempted for a venom/scorn relationship of some kind? 4) will we see venom in the age of ultron cross over event? 5) can we expect to see a gathering of some kind featuring superior spider-man, scarlet spider, venom and toxin all have done things there atoning for plus it would be interesting to see how flash react's to superior spider-man! cullenbunn Toxin will play a big role in Venom, but you'd have to assume one or both of them survive the current arc in order for it to become a joint book. Stay tuned for news on crossovers and such! Carnage will return. I'm not sure it will be this year, but you will be seeing more of him.